This promises to be a very interesting stage. The final 16km contains two category three climbs and an uphill finish, this will make life difficult for some of the sprinters. First up is Sot de Chera, which is 3.7km at 5.5%. This is a steady climb on a wide road, but the pace will be high as teams look to position their GC riders for what’s to come. 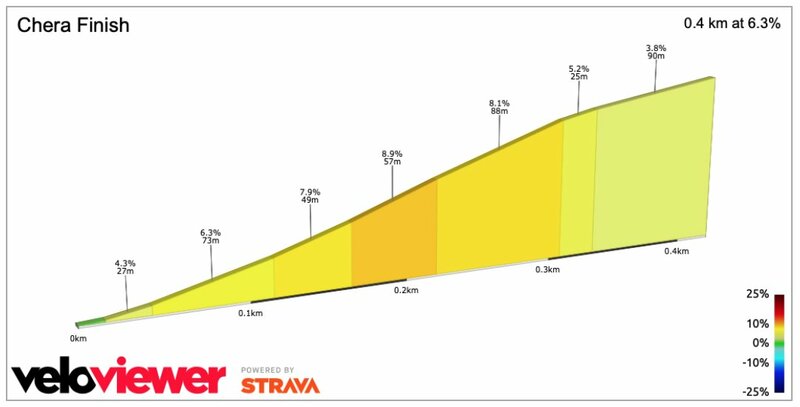 Salto de la Mora is 5.4km at 4.7%, but it’s not the gradient that’s the problem, it’s the width of the road. 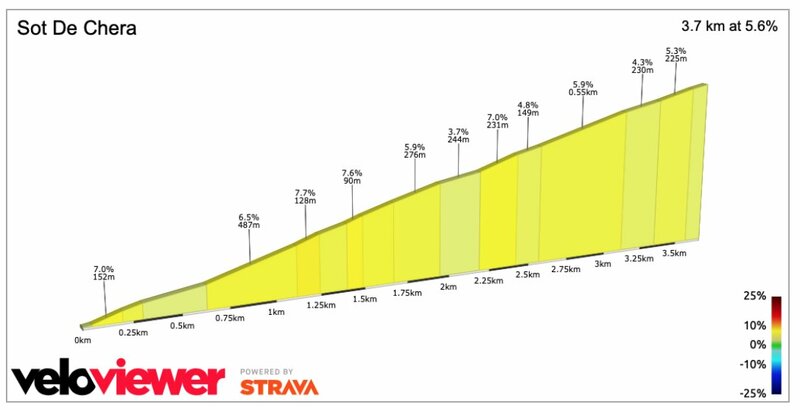 The whole of the climb is on an incredibly narrow road and this will force the GC teams into coming to the front. 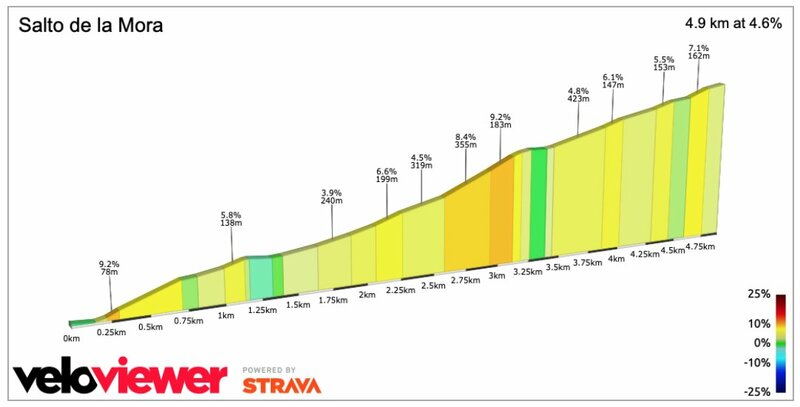 The climb isn’t particularly challenging, but it does have a 500m section at close to 9%. This is the perfect spot for someone to launch a solo attack and see if they can get a gap on the bunch. Once over the top, we only have 2.6km left to travel. The road stays narrow, and it certainly won’t be easy. Once into the finishing town, things don’t get any easier. The final 450m rises at an average of 6.7% and includes a double corner with 100m remaining. Positioning is vital as you have to be at the front for the final turn, there simply isn’t time to move past a lot of riders in the last 100m. It certainly won’t be a big sprint. The climbs at the end of the stage will be taken at high speed, dropping a lot of the sprinters. The GC teams will want to take control of the final 20km, which will make life difficult for everyone. If a sprinter does manage to survive, they still have to negotiate the final rise to the line, which certainly isn’t easy. With the final climb cresting close to the finishing line, you can expect to see some attacks from the GC riders. This is a perfect opportunity to get a gap, take a stage and steal some seconds. The sun will continue to shine, but the wind will be a little stronger. As it comes from the South-West, it means a headwind as the bunch head for the finishing line. Not great news for anyone who wants to attack on the final climb. Alejandro Valverde – the world champion has a big decision to make, does he risk an attack or wait for the sprint? The finish of this stage is very good for him and he does make a habit of winning a lot of stages like this, especially on home soil. 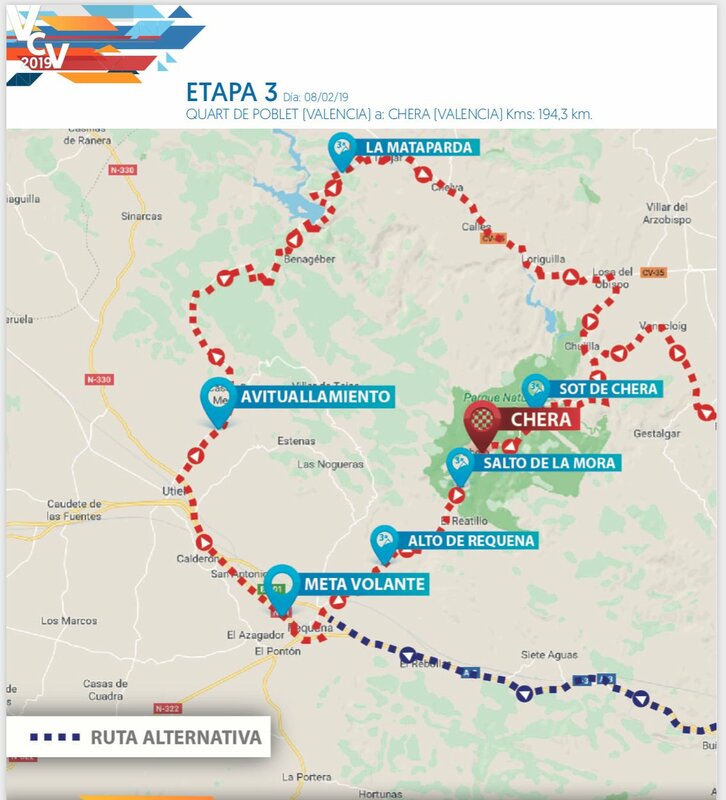 Movistar will be fully aware of the dangers this stage present and we’ll see a lot of them at the head of the bunch. The tactic in the final 3km will really depend on who’s left in the bunch and how Valverde is feeling. I sense an attack! Luis Leon Sanchez – he does look in great early season form. Sanchez got through a lot of work today, trying to help Magnus Cort. The Dane didn’t manage to compete in the sprint, and I think this stage will be one for Sanchez to chase. No doubt we’ll see him staying close to Valverde and look to attack on the final climb. Astana have an embarrassment of riches heading into this stage as it’s a good finish for Cort, Fraile, Bilbao and Izagirre. I expect to see them being very aggressive. Sonny Colbrelli – of all the sprinters I think he has the best chance. The Italian won’t mind the hills, but positioning for the final kilometre is going to be very difficult. Teams who have sprinters and GC men to look after will find it difficult keeping everyone happy. Colbrelli might find himself without much help as Bahrain must look after Dylan Teuns. Greg Van Avermaet – time for the great man to test his legs. The Belgian is in the wonderful position of having a full team at his disposal, very few riders have this luxury. An uphill sprint is perfect for GVA, but he’ll be keen on getting rid of a few of the quicker men. Edvald Boasson Hagen – the leader of the race will be determined to take some more bonus seconds. The Norwegian is a hugely powerful rider and he’s another who’ll like the look of the final 20km of this stage. As I’ve mentioned, positioning will be very important, it’s vital that some of his teammates step up and deliver a big performance. I don’t think he’ll win the stage, but I wouldn’t be surprised to see him on the podium. Marco Canola – the Italian will have to ride for himself, but he is quick sprinting uphill. Now 30, I find it amazing he’s never ridden for a World Tour team, but what do I know? 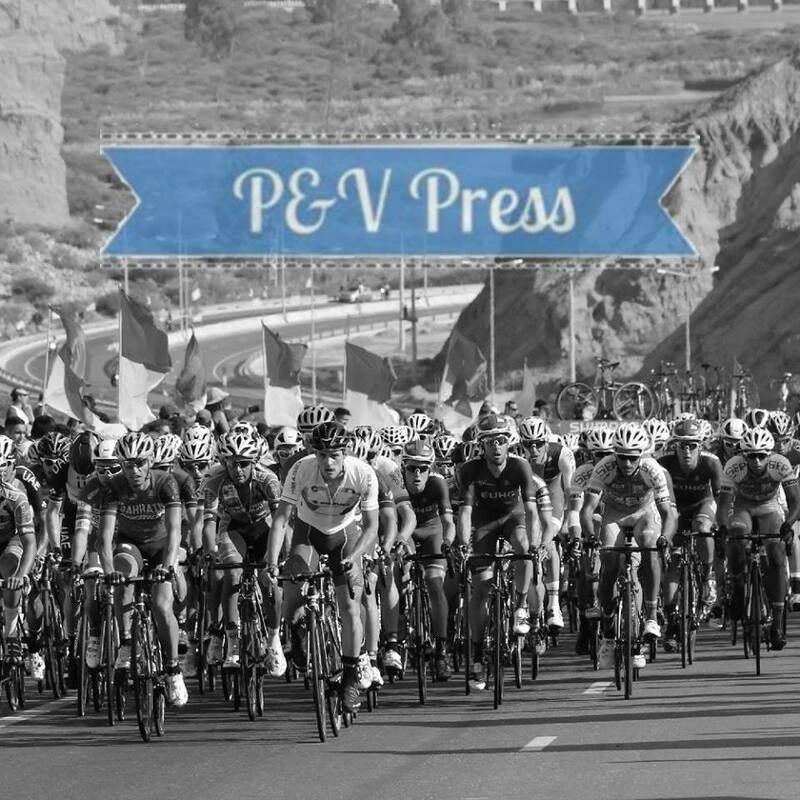 It’s always difficult for riders from smaller teams to compete against the superstars of cycling, but Canola has a decent chance of surprising a few of the big names at this race. Matteo Trentin – I wrote him off and ended up with egg on my face. After taking a dominant win today, Trentin will be full of confidence heading into this stage. The Italian can cope with the hills and will expect to be challenging with the big boys in the closing kilometre. Mitchelton-Scott are masters at positioning their riders, I expect Trentin to be in the right position for the final sprint, if we get one. This stage screams Alejandro Valverde. I think we’ll see his first win in the rainbow jersey. How does he do it? I’ll leave that for you to decide!